A-1 Custom Car Care ASE Certified mechanics know all aspects of automotive electrical system repairs. Whether you need to replace your alternator, starter, car battery, windshield wiper motor, or any other problem with your vehicle’s electrical system, A-1 Custom Car Care is the place to go. 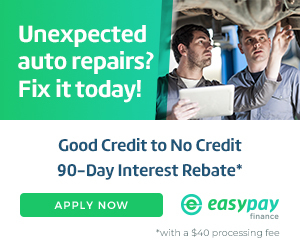 The alternator charges your vehicle’s electrical system. It generates direct current for recharging the battery. It also helps power the other electrical needs of your car. You should have your auto’s electrical system checked at least once per year. Should you experience frequent bulb replacement, a dead battery, or dashboard warning lights, then your alternator may need to be replaced. 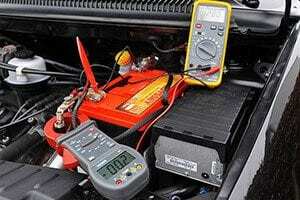 We are able to check the effectiveness of your battery because we utilize battery testers in our shops. Don’t be stuck with a dead battery. Have your battery tested each time you get an oil change. The starter cranks the engine when the ignition switch is turned on. It’s located on the back of the engine or the front of the transmission. Each spring, you should have on of our ASE Certified mechanics test your starter to make sure it is drawing the correct amount of current. A-1 Custom Car Care is locally owned and operates in Springfield MO and Republic, MO. Our business philosophy is to provide our customers with a level of service that exceeds their expectations. That’s why many of our customers have been doing business with us for generations. For the most affordable and effective car repairs, go to A-1 Custom Car Care! A-1 Custom Car Care is locally owned and operates in Springfield MO and Republic, MO. Our business model is based is on the simple idea that we treat customers the same way we want to be treated: with honesty, competence and respect.